There’s this neat thing called NAT or Network Address Translation. It’s what makes your public address on your cable or DSL modem separate from your internal 192.168.0.x IP address. NAT allows your cable modem to be treated as a router. It acts like a built in firewall. Lots of good things can come from NAT. But if you’re trying to run an application on a device inside your network (a webserver for instance), sometimes that device won’t be reachable. Say your device is at the internal address of 192.168.0.10 and has a DNS entry of mywebserver.mycompany.com on the public internet. This could be a VoIP telephone system, a fileserver, a DVR, anything really. How difficult is it to make this device so you can reach it from inside your network by typing the DNS name of http://mywebserver.mycompany.com instead of http://192.168.0.10/index.htm? Not very difficult at all if you have the ability to enable NAT reflection. Another name for this is NAT loopback. Some routers support reflection/loopback and some just don’t. You can find a pretty good list here; http://opensimulator.org/wiki/NAT_Loopback_Routers. If your router is on this list, checkout pfSense or IP Cop. Both are open source, free firewalls that take a minimum of effort to setup and will provide you with a tremendous amount of capabilities. And did I mention, free software! is to use a host file. On Windows the host file is located at \windows\system32\drivers\etc and the filename is actually hosts. No extension, just hosts. Edit that file and at the bottom just type in the IP, enter a tab and put the hostname. There is an example in the hosts file that will show you how it should look. This problem actually happened to us when we were playing around with SugarCRM. We just built out a system and were playing with it but we kept getting loopback errors when accessing the telephone call popups. Turns out we didn’t take into account the “site_address” and “site_url” variables in SugarCRM’s config.php. JP Technologies is an Atlanta, Georgia based technology company specializing in Voice Data and Programming. Want to know more? Check us out at online or call us at 877-297-4081. You can also checkout our facebook page at www.facebook.com/jptechnologiesllc. When the customer is down, what do we check first? Tired of bad IT service? Ready to Start Saving ? Join JP Technologies LLC, the preferred business solutions provider. 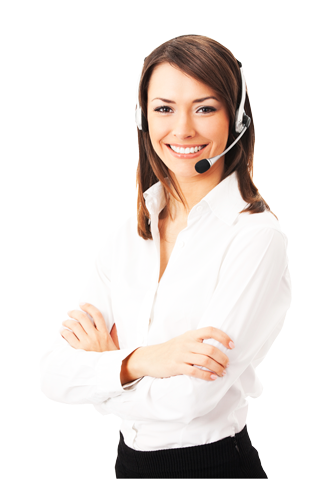 Business Phone Systems - VoIP for Small Business. JP Technologies, LLC integrates different software and systems together to allow better management and control. We provide automation to systems.